Bibliography: Usticke third state; White and Boon. 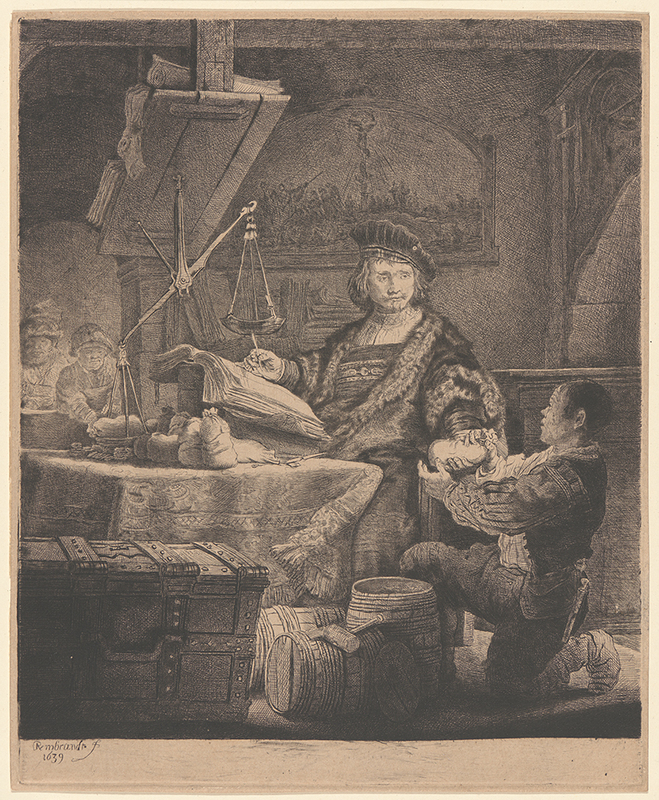 Related Works: See DAC 1953.D1.2 for Rembrandt’s impression of this print. Jan Uytenbogaert, . Etching. Third state, retouched by Captain Baillie. DAC accession number 1996.1.37. Unrecorded source, probably gift of George W. Davison (B.A. Wesleyan 1892), before 1953. Open Access Image from the Davison Art Center, Wesleyan University (photo: R. Lee). http://dac-collection.wesleyan.edu/obj12038 is a persistent link to this page with no user-session information.